From the Natural Health Perspective, olive oil is the magic bullet of nutrition and a healthy diet. It is a panacea, the perfect oil for all ages. One or two teaspoons of Extra Virgin Olive Oil should be added to most of your meals. Olive Oil is the magic bullet of nutrition and a healthy diet. For a healthy diet, one or two teaspoons of Extra Virgin Olive Oil can safely be added to most of your meals. It will improve the taste as well as your nutrition. Olive Oil should always be stored in the refrigerator. In Greece, Olive Oil has been considered numinous for millenniums. The olive was known as the "gift of the gods", according to Greek mythology that claimed that it was initially brought to the Greeks as a gift by the Goddess Athena, and then later picked by Zeus as the most useful invention of the time. Cooking your foods with healthy olive oil will improve the flavor of your home cooked foods. It will improve the flavor of fresh salads. Olive oil is a complex compound made up of fatty acids, vitamins, microscopic bits of Olive and other oil-soluble components. 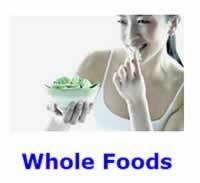 Its primary fatty acids are oleic and linoleic acid. Oleic acid is monounsaturated and makes up approximately 55-85% of Olive Oil. Linoleic is polyunsaturated and makes up about 9%. It also contains a small amount of saturated fat. Olive Oil's polyunsaturated fatty acids lower both LDL and HDL levels in the blood. Its monounsaturated fatty acids on the other hand help control LDL levels while raising HDL levels. 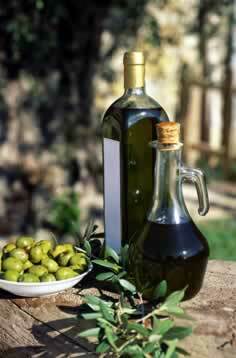 No other naturally produced oil has as large an amount of monounsaturated fat as Olive Oil - mainly oleic acid. Furthermore, the modest amount of well-balanced polyunsaturated fatty acids in Olive Oil is well protected by its own natural antioxidant substances. The color of Olive Oil is dependent on the pigments in the fruit - green Olives give green oil because of the high chlorophyll content. Ripe Olives give yellow oil because of the carotenoid (yellow red) pigments. There are as much as 5 mg of antioxidant polyphenols in every 10 grams of Olive Oil. The dark green variety of Olive Oil contains the most antioxidants. Olive Oil is the second best natural source of Vitamin K available. The greener the vegetable or oil the higher the content because Vitamin K is associated with chlorophyll. How should you store Olive Oil? Light and heat are its enemies. Olive Oil should always be stored in a refrigerator. Since high quality olive oil will solidify in the refrigerator, you will need to soak your oil bottle in water that has been quickly heated up in a microwave oven. Unless you are cooking for an army of people, be sure to buy only the smallest bottles of olive oil, to insure that your oil is always fresh. http://www.abc.net.au/quantum/stories/s56123.htm -- ABC Television, Oils Ain't Oils: Thursday, 16 September 1999, Catherine Itsiopoulus: "we have actually in our laboratory assessed it's antioxidant capacity and it is very high in antioxidants and you can tell that by the very deep green colour, so the deeper the colour the higher the antioxidants."